Both swim teams will advance to the South Jersey sectional finals with wins today. Both of Cherry Hill High School East’s swim teams will dive into the pool to kick off the playoffs this afternoon. 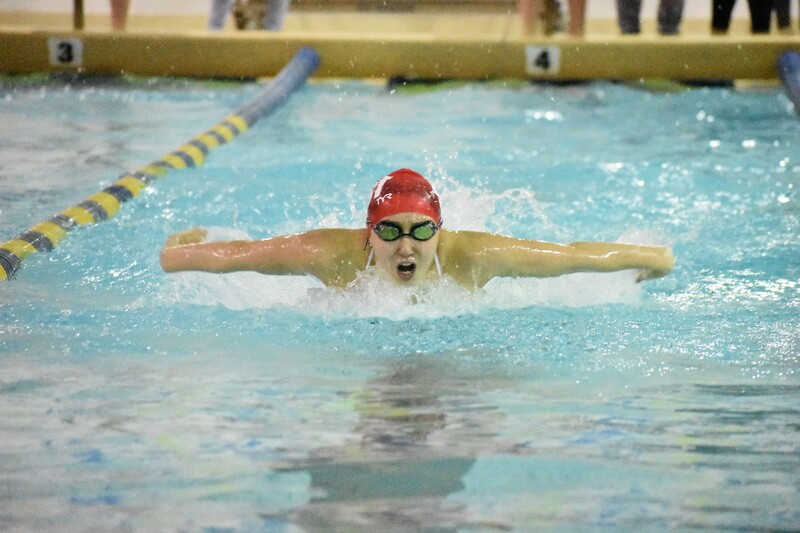 The Cougars’ boys and girls swimming teams will both participate in the South Jersey Group A semifinals at Camden County Technical School on Monday afternoon. The girls team will be up first as they host Toms River North at 3:30 p.m. The boys team will follow with their meet against Lenape High School at 5 p.m. Both swim teams are trying to win another sectional title this week. With a win today, Cherry Hill East’s girls team will swim in the sectional finals on Wednesday at GCIT. The Cherry Hill East boys team will be in the sectional finals on Thursday at GCIT with a win this afternoon. Last week, Cherry Hill High School West boys swimming pulled off an upset before being eliminated in the South Jersey Group B playoffs. The №7 seeded Lions edged out №6 seed Kingsway Regional High School, 95–75, to advance in the bracket. Cherry Hill West was eliminated on Friday with a 95–75 loss to №3 Shawnee High School.